While topical steroids have enormous benefit in reducing inflammation, they can also come with certain side effects. Many of these effects are related to long-term use, but others can occur within days of starting therapy. The 7 most common side effects range in severity from mild and transient to long-lasting and permanent. Tachyphylaxis is the rapid decrease in response to a topical steroid due to repeated use. Overuse of steroids can cause the skin to develop a tolerance to the drug, rendering them useless. When this happens, people will often increase the dosage or apply the steroid more frequently, which only increases a person's tolerance to the drug. The effect can usually be reversed by stopping treatment for seven days and then restarting. Steroid rosacea is a side effect commonly observed in fair-skinned people who already have rosacea. A typical example occurs when a person applies a very mild steroid to the face to counteract facial flushing. The steroid produces pleasing results at first, but, as tolerance develops, the individual will resort to using more potent creams. At this point, any attempt to use a lower-strength steroid (or to cut back or stop altogether) can result in intense facial redness and the formation of fluid-filled bumps (called pustules). Repeated use of topical steroids in the same area can cause the thinning of the epidermis (outer layer of skin) and changes in the connective tissue of the dermis (middle layer of skin). When this happens, the skin can degenerate and become lax, wrinkled, and shiny. 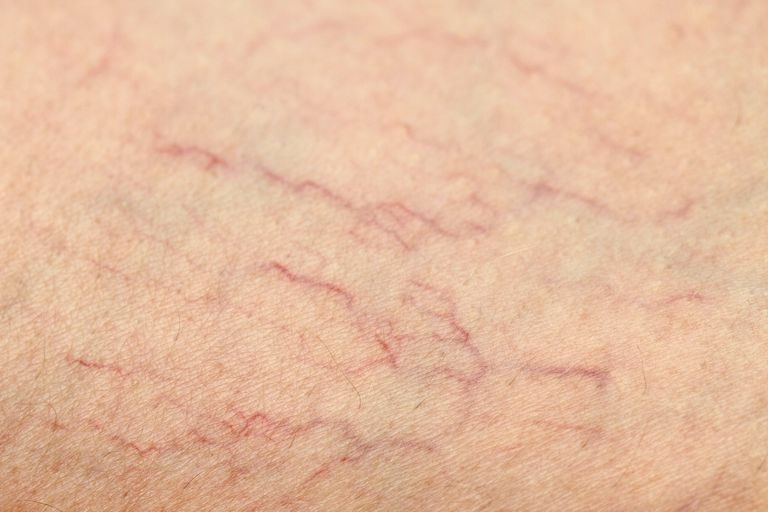 Affected areas can be noticeably thinner than surrounding skin with visible spider veining (telangiectasias), hypopigmentation, and the sudden prominence of underlying veins. Atrophy is usually reversible once steroid use is stopped, but it may take months for the skin to thicken to normal. Repeated use of topical steroids in areas where skin touches skin, such as the groin and armpits, can result in stretch marks (striae). Stretch marks from topical steroid use are permanent and irreversible. They can be very itchy and may require a lower strength steroid to treat the underlying itch. Because topical steroids change the way the immune system work, they can inhibit the skin’s ability to fight off bacterial and fungal infections. A typical example of this is seen when someone applies a topical steroid to an itchy groin rash. If the cause is fungal, the rash will get redder, itchier, and spreads more extensively than a typical fungal infection. This can lead to a condition called tinea incognito wherein the rash is inflamed with visible pustules. Some people are allergic to the non-active component of a topical steroid (also known as the vehicle). Patch-testing of people with dermatitis revealed that four to five percent were allergic to these ingredients. People who have a chronic skin condition and use multiple prescriptions (including over-the-counter topical steroids) are at higher risk of developing these allergies. Glaucoma is a disease in which the pressure inside the eye increases to the point of damaging the optic nerve. There are isolated reports of people developing glaucoma after long-term use of topical steroids around the eyes. How this happens is not completely understood, but it is believed that enough of the steroid can be absorbed in the surrounding tissue to leech into the eye itself.